The major focus of my research has been on the fabrication of carbon-based nanomaterials for the application of energy conversion and storage devices. 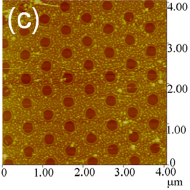 Recently, we have prepared graphene on Cu substrate with various textures using chemical vapor deposition. 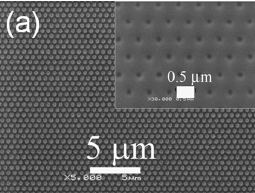 Doped graphene nanohole arrays were fabricated for flexible transparent conductor, as shown in Figure 1. 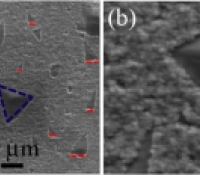 Also we have developed an oxide-assisted self-assembly method for the growth of triangular graphene grains on cubic texture Cu substrates and the investigation of growth mechanism of graphene, as shown in Figure 2. By engineering substrates, we can prepare graphene film with uniformity, high conductivity and transparency.